Big thanks to Alice, AKchen, Uloisius, Shi, Anne Cozean, Moonchild, Mumbles and KellsBells to offer us of so beautiful singings and fabulous texts. Thanks to all to create one such inspiration, and thanks to every these fabulous musicians, and to those as you bewitched to come along ! 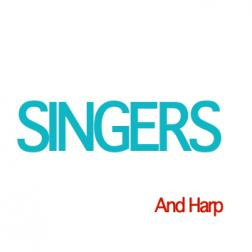 harp with elegance, regardless of genre. It is an honour to be included in your works my friend. Titi's harp playing always added a very sweet colors to every track he play, that harp knows how to touch the heart so very well, it sing unspoken words in a very beautiful way. always great to hear Titi play !and I'm so glad to be part of this wonderful album! Thank you Titi! keep the music in the air!